eCommerce companies trying to improve their SEO often run into a host of bottlenecks that get in the way. Limits to functionality, such as a hosted platform not allowing you to edit your own Robots.txt file, or the inability to host a WordPress blog on the same subdomain as your store. These boil down to two problems: either your eCommerce platform won’t let you make these SEO changes, or development logistics, costs, and personalities get in the way. Each of these problems point to the same potential solution. In this article, we’ll be discussing a unique strategy currently gaining steam in SEO circles. It’s one we think many eCommerce could use: Edge SEO. Edge SEO, originally coined by Dan Taylor of SALT.agency, can make implementing some SEO modifications quick and inexpensive with simple tools we’ll highlight here. In this article, we’ll discuss what Edge SEO is, how it works, and outline some specific use cases for your eCommerce site that make it easy for even non-developers to implement several specific SEO changes in a hurry. Note: You can talk to one of our SEO experts about how we can help you implement SEO changes faster with Edge SEO, as well as do an overall eCommerce SEO audit, by reaching out here. Let’s start with a simple explanation of Edge SEO. Edge SEO is a process or method where code modifications (in this case for SEO purposes) that you would generally make in your main codebase, are implemented instead “at the edge” of a CDN (Content Delivery Network). As requests and responses are sent between a user of your website and your main web server/host these requests can be “captured” and “modified” at the Edge—allowing modifications to be made to the HTTP response and accompanying HTML, CSS, and JS code (and effectively “implementing” SEO at the edge). Users and bots like Googlebot only see/crawl the modified code thereby making it appear as if these changes were made on your main codebase. 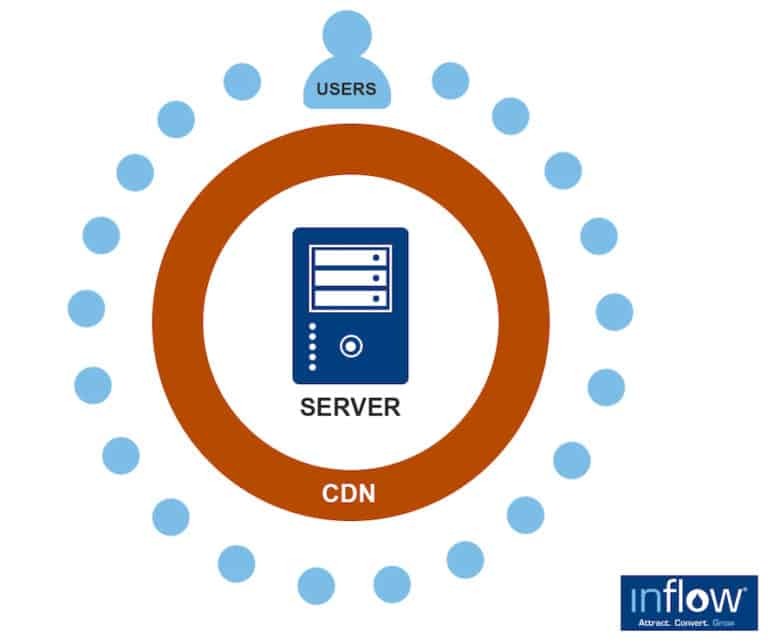 With the proper tools in place in your “middle layer”—the CDN—you can implement changes with a few clicks and work around the limitations of your eCommerce platform and your development queue. Here is the flow of how to “do” Edge SEO compared to traditional methods of implementing SEO advice. Your SEO agency, consultant, or in house employee, delivers a set of recommendations. Let’s say they involve things like making changes to robots.txt, setting up a bunch of redirects, and more. We’ll call these “site changes”. Normally, you’d have to ask your development team to implement these changes, and that’s subject to the obstacles we mentioned at the top of this article. With the Edge SEO process, the marketing team instead would use some sort of cloud network or CDN platform. One of the most well-suited ones out today is Cloudflare, so for the purposes of this article, we’ll use them as an example. Note: no coding or server-side programming is required to do this. Spark is a “meta CMS for SEO teams,” currently in the alpha testing phase. We have early access to this and have found it’s especially powerful for additional features like setting up A/B tests. If you’re interested in experimenting with Edge SEO, consider registering with them. Sloth.cloud is currently in version 1.1, and gives you more robust features for using Cloudflare’s Workers feature. That includes A/B testing as well as modifying or overriding your Robots.txt file. Armed with tools like Spark and Sloth, any non-developer with access to Cloudflare Workers can implement advanced Edge SEO changes. These tools, integrated with Cloudflare Workers, will fill in the missing gaps of Cloudflare’s “out of the box” solutions and let marketers quickly and easily implement site changes that can improve organic rankings as per their SEO experts’ recommendations. Next, let’s look one by one to a series of typical site changes that—in our decade of experience doing eCommerce SEO—many eCommerce sites may need to make at some point. A product that’s gone out of stock still leaves a product page behind. This can get tricky with SEO depending on what you plan to do with the page. Edge SEO makes it easy to incorporate one common choice: redirecting a product page to a category page or even 404ing the discontinued product page if it makes sense to do so. For further reading on what choices you’ll have to make, refer to our post on How to Manage Out of Stock Products for SEO. You’ll find Sloth.cloud’s Redirect Manager/Implementation tool to be convenient for implementing redirects. This can also be done directly in Cloudflare’s interface with Page Rules. You can mass add image alt attributes with Spark. For example, you can configure Spark to use the “variables” scraped from within a product page to automatically create image alt attributes. It only requires a one-time setup from your end. This is critical for any team with thousands of products requiring on-page SEO improvements like alt attributes for images. If you run a blog hosted on a different subdomain than your store, putting that blog on a subdirectory on your main subdomain (recommended for SEO benefits) has required complex workarounds like installing and configuring a reverse proxy with unique configuration code to link www.yoursite.com/blog to the hosted blog. For many, the easier strategy is simply to use a subdomain, blog.yoursite.com, instead. This is, in turn, less effective for SEO. 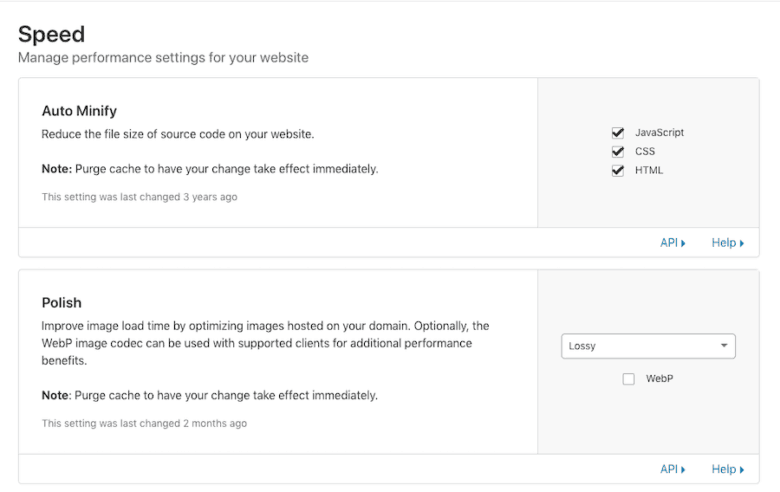 Luckily, there is now a new and much easier way to serve your blog on your main subdomain using Cloudflare Workers directly as neither Sloth or Spark support this feature yet. Hosted eCommerce platforms are notoriously stingy about providing easy access to your log files. You can collect these logs yourself using Edge SEO through a platform like Cloudflare. Here is a resource for one way to set this up manually; you can also use a tool like Sloth to help configure the implementation. Refer to our guide on basic Log File Analysis to find everything you can accomplish with these logs, especially to identify what the Google Bot is or isn’t crawling on your site. Very few systems will limit your ability to edit Robots.txt—but when it’s a problem, it’s a big problem. Edge SEO makes it possible to work around this with a simple interface. For example, using Sloth allows you to log in, make simple edits to your Robots.txt, save those edits, and go about your day. You won’t have a lot of access to these edits when using a hosted platform that limits. Edge SEO can make an effective workaround. Since even Googlebot will view your SEO implementations as though they’re native to the code on your server, you can handle your canonical and meta robots tags in the same way. The changes will have the same SEO effect as if you changed your underlying server’s code—only you’ve done it from a simple interface. Implementing redirects isn’t always a challenge, but many eCommerce platforms will limit what you can do. 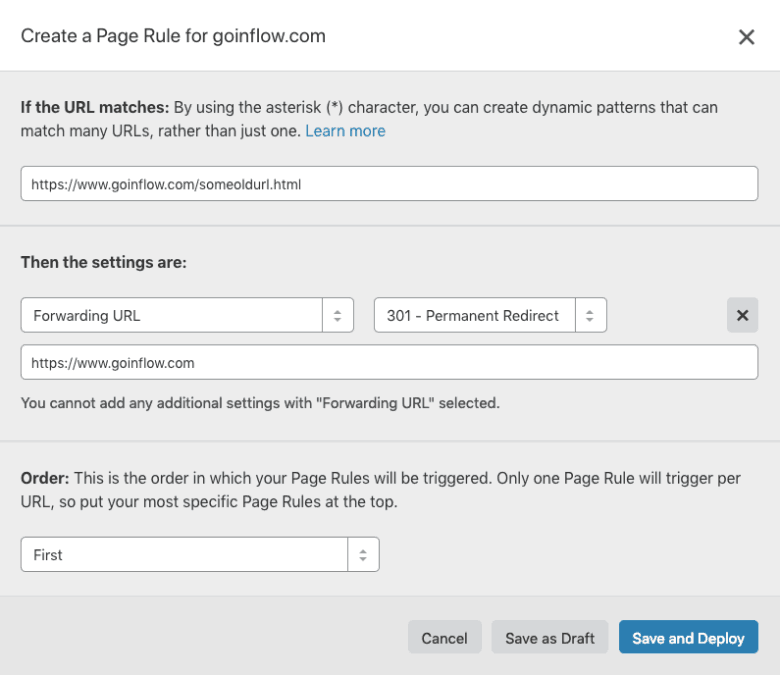 Using a platform like Cloudflare along with an Edge SEO helper tool like Sloth makes it possible for you to easily setup one-off redirects or upload a list of redirects in bulk. With some self-hosted platforms, implementing these redirects would require you to install a plugin. This can throw a wrench into your overall site performance and security. You avoid the downside by implementing redirects via Edge SEO and skipping the plugins altogether. Since Hreflang tag management is central to good international SEO, and using the Hreflang tags properly can result in an influx of international traffic, it makes sense to get it right. Hreflang tags are notorious for creating problems for the teams in charge of implementing them. For example, which team at your company is responsible for managing these tags? With multiple markets making changes, you might run into issues with controlling your site versions. Implementing and maintaining Hreflang tags on your site is another limitation of hosted eCommerce, but you can get around this via Edge SEO and implementing your Hreflang strategy using Sloth.io and Cloudflare Workers. It’s important to verify your site as a domain property in Google Search Console so you can access all of your data—across every subdomain—in one GSC profile. You can use Cloudflare to manage your DNS as well, helping ensure you get verified as a domain property. This feature is native to Cloudflare, which means you can use it right “out of the box” even before you sign up for Workers or implement tools like Spark or Sloth. A/B testing SEO changes on your own without some sort of tool in place is extremely difficult. You’ll also be responsible for custom-building your own tests. But because an Edge SEO platform can function much like a meta-Content Management System, you can use a tool like Spark to build and execute an A/B SEO test, and run them at scale. There’s no need to run expensive tools or run them regularly at a much larger scale with substantial dev investment for each custom test. Edge SEO is here, and it’s easier than ever. Today, the available tools make it simpler to circumvent your eCommerce SEO limits and optimize your site on your terms—all without relying on your developers for every SEO related modification. eCommerce Options for WordPress Which eCommerce platform is right for you? We're big fans of WordPress and its variety of powerful eCommerce plugins, especially WooCommerce. Best eCommerce Platform for SEO: Don’t Just Choose a Platform, Make Sure It Fits Around Your Strategy We discuss all the factors you should consider in choosing an eCommerce platform from the perspective of SEO. This advice is based on experience optimizing SEO for hundreds of eCommerce companies.